I have a friend, she’s quite a dear friend, and the type of woman every woman would be lucky to have in her life. She’s the type of friend you’d do anything for and today, there is nothing I can do to ease the pain of her very broken heart. Nothing I can influence today is going to make her pain lessen, the absolute physical pain you feel when your heart is broken, honestly broken. I will walk with her in her time, I will pray with her and for her. My hope is she knows she is loved and that while she may feel horribly alone, she’s not. I hope she knows that while it may seem her days ahead are without light, love, or laughter that she’ll be okay. Not today, and not for sometime, but she will. She is an amazing woman, one grounded by faith and the hope that carries others when they are unable to carry themselves. So my dear dear friend, you are loved and you are not alone. For even in the times when physically no one is near, I know you know that HE is. 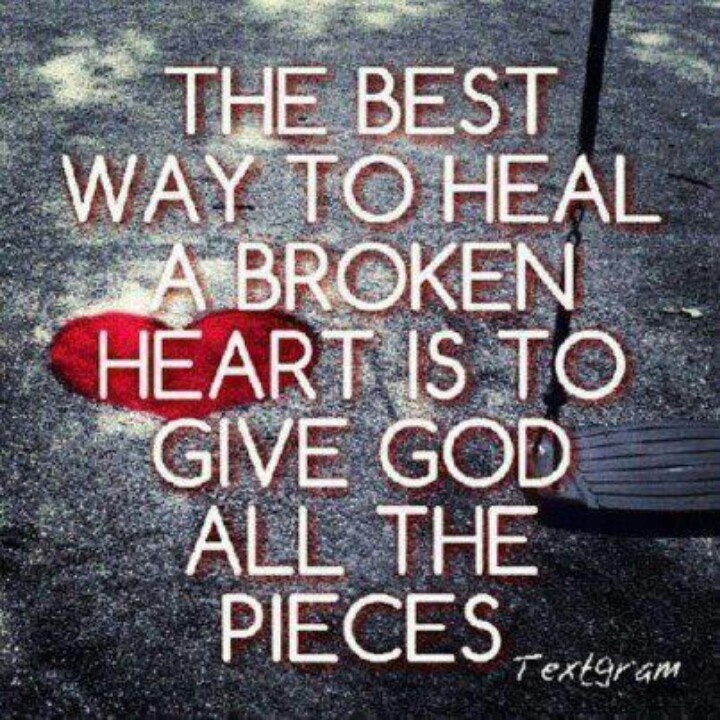 This entry was posted in Life and tagged broken heart, Faith, loss, pain. Bookmark the permalink.